Over the weekend, Shitoryu Chineham had one of our regular sessions with our senior instructor, Sensei Terry Connell, who flew in from Scotland for training. Juniors new to the club, committed juniors and existing seniors alike all benefited from the masterclass and general training and advice provided by Sensei Connell over three days. We are, as always grateful for his guidance and expertise to help us improve as individuals and as a club. 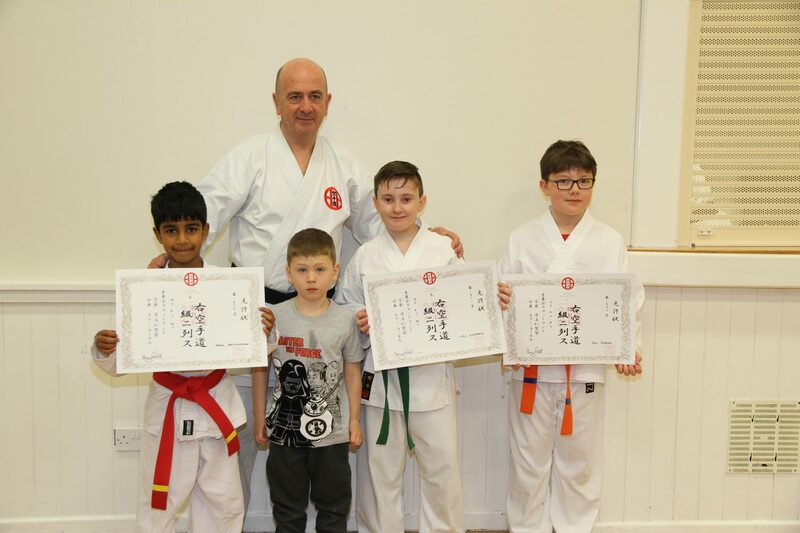 Several juniors were also fortunate enough to be recognized as having the ability to progress and were subsequently graded by Sensei Connell. This shows remarkable progress and dedication from our members which we are happy to see.